In 1977 George Powell named his wheels "Bones" due to their unique (at the time) white color. In the years to follow many "Skull & Bones" graphics were used to decorate various Powell-Peralta products. 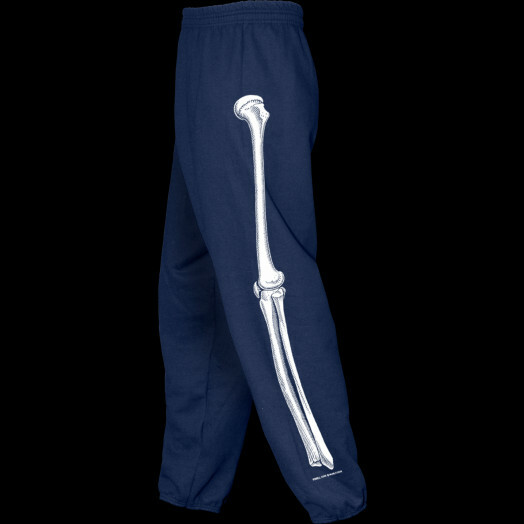 The leg bones sweatpants were one such example of the Bones theme Illustrated by VCJ in 1987.